Integrations are 3rd party applications that work with Jibble. These are completely free to use, regardless of your plan. We currently have 2 integrations available, but more are definitely coming up soon! At the moment, all integrations involve collaboration tools. We have a Jibble Bot for Slack and Microsoft teams. 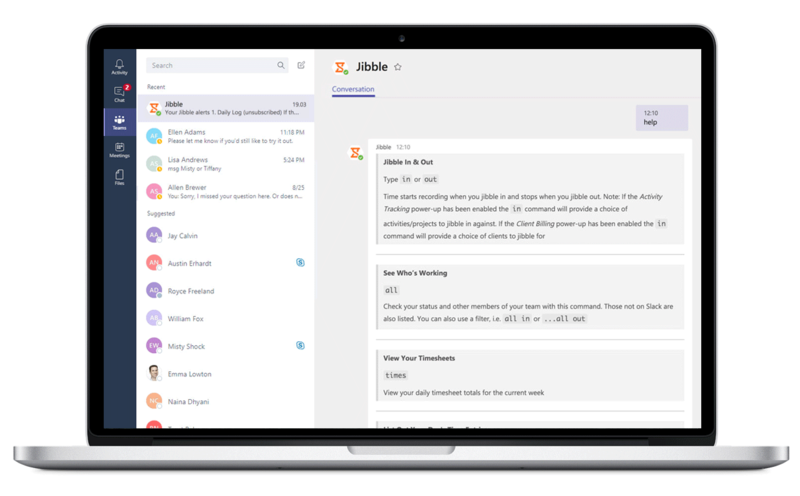 You can interact with Jibble within Slack or Microsoft Teams using the Jibble bot. To learn more about how that works check out all the Jibble Bot commands.